1. 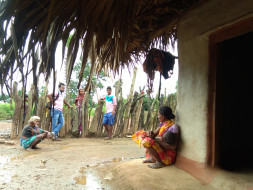 Institutional Delivery has raised to 72% in the 3 villages we are working, above the district average of 55%. 2. SAM children has been reduced from 15% to 3%. 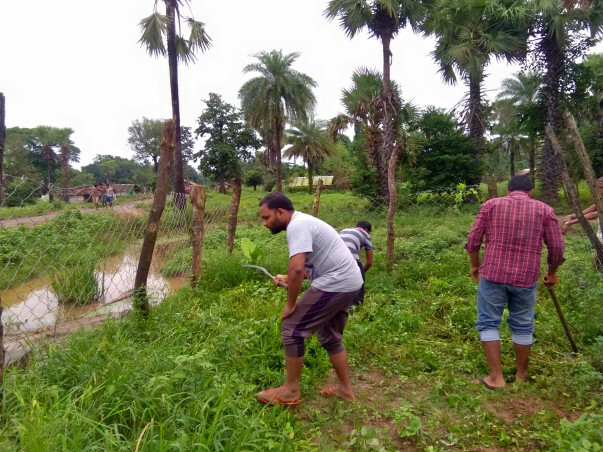 We are on an exit strategy from these 3 villages of Jhapra Gram Panchayat to move to the nearby Burdi Gram Panchayat to serve the malnourished children there. Your persistent support will keep our perseverance & commitment towards this noble cause. please spread the word for greater support to this genuine cause. 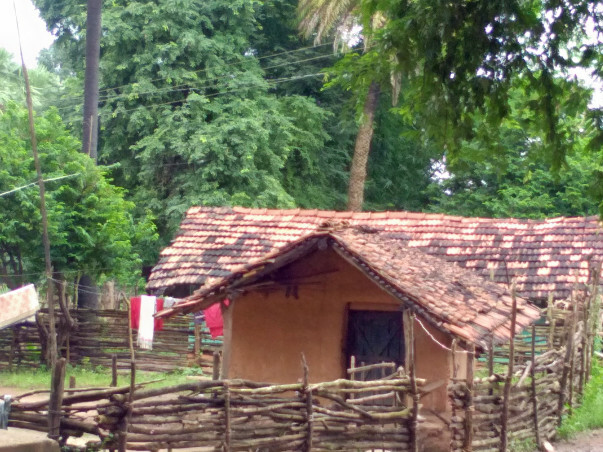 It was 13th January 2016 - I was doing field work in the remote tribal district of Malkangiri in Odisha. I got a call from my friend Naresh, from the neighboring Sukma District in Chhattisgarh. Both districts are intense Naxal-affected areas separated by the Sabari river. He crossed the river by boat to show me a picture in his mobile, which we can never forget. It was a horrific case of a Severe Acute Malnourished child (Image attached below). It shook our conscience. We rushed the child to a district hospital, but alas! it was too late... the child had died. 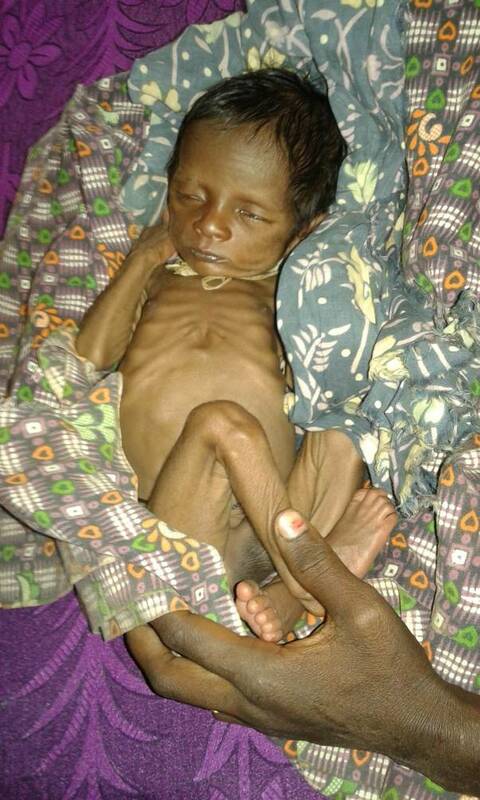 Unfortunately this was not the only case; officially, every second child in the district is malnourished. These districts are plagued with Naxalites resulting in frequent conflicts and damages. Recently in April, 2017, 25 CRPF Jawans were killed in a Maoist attack in Sukma. All of this has resulted in dismal condition of healthcare and medical facilities. Decades of conflicts have taken lives of thousand innocent children and mothers. I DO has decided to make it as a life time mission, to ensure every child lives to enjoy a healthy future. Currently, we are the only community engaged NGO in Sukma District. We are engaging community to create a model to diagnose and treat malnutrition. We invite you to join our journey in saving every child and giving them a bright future. 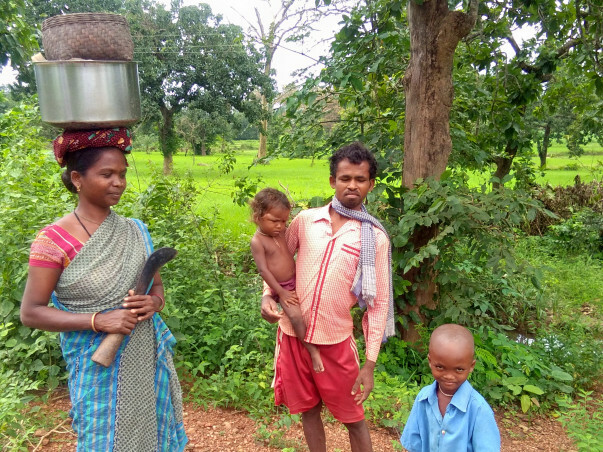 Your support is truly valuable to us as it will help us in reaching more tribal families and villages in India. 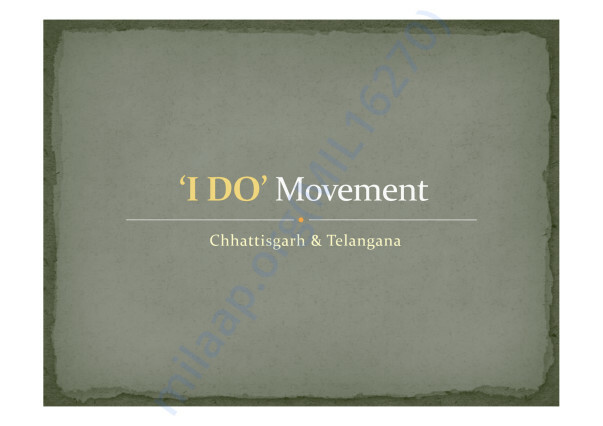 I DO is a young for impact organisation started by a few BITS-Pilani, IIT & PMRDF Alumni. I DO aims to create a movement of social leaders and synergize their efforts to transform India. Note: Dear partners , we are open for any kind of audit. Lets take a step towards freedom from undernourishment , Please donate today!!! Soon we are coming up with a transparency report too !! 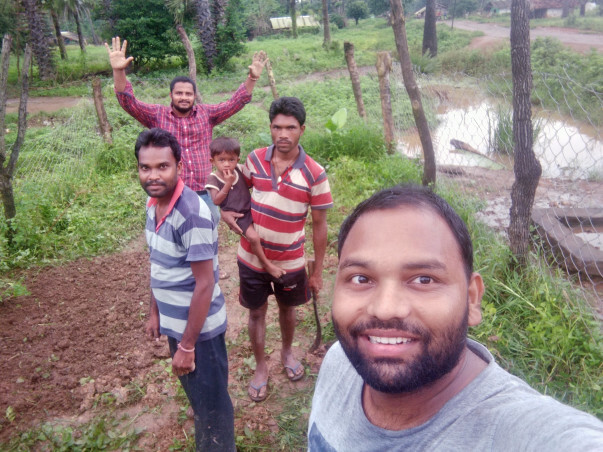 We are happy to share the progress we have made and the outcomes we have achieved till now in Jhapra Panchayat of Sukma district, Chhattisgarh. Healthy kids in our work area is 72% compared to just 49% in the district. We have no severely malnourished children now..
We couldn’t have achieved this without your love and support. A big thanks to all of you !! Here is an update on the progress of our campaign. Currently, we are running field operations to identify the children with malnutrition among the tribals in Jhapra gram panchayat of Sukma. The identified severely malnourished children will be taken to the Nutrition Rehabilitation Centre (NRC) to provide them with adequate nutrition until they gain 15% of their weight. We have diagnosed 192 kids in October and 213 kids in November. 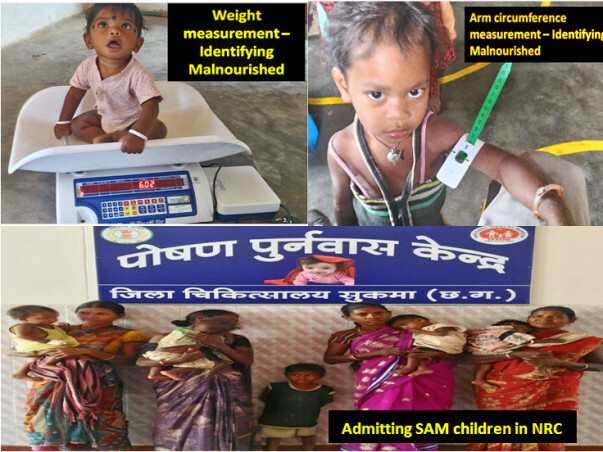 Please find attached the reports of the malnourishment levels of the kids in Oct-17 and Nov-17. 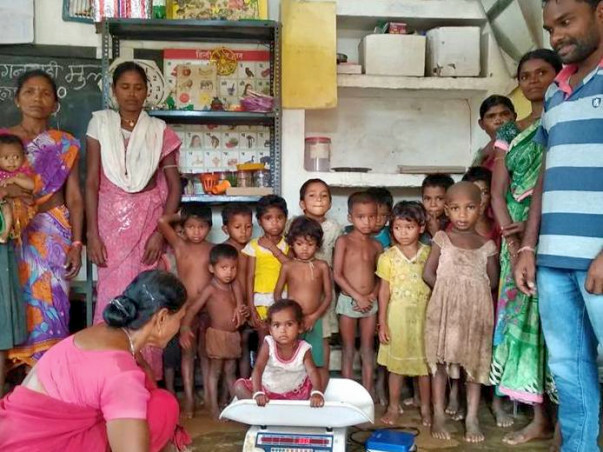 Our Poshan Mitras are working closely with the families of malnourished children to ensure that they are given nutritious diet. We are also working with pregnant mothers to create awareness on the best practices of the first 1000 days to prevent malnutrition and promote healthy childhood.